Malkin worked as an apprentice to editor Dede Allen on the film America America (directed by Elia Kazan-1962), and became acquainted with editor Aram Avakian, who was an occasional visitor. Malkin became Avakian's assistant editor on Lilith (directed by Robert Rossen-1964). Malkin got his first credits as a full editor on The Patty Duke Show (TV) and on the "Z movie" The Fat Spy (1966). Francis Ford Coppola heard of Malkin from Avakian, who had edited Coppola's film You're a Big Boy Now (1966); it turned out that Malkin and Coppola had been acquainted as teenagers growing up in the same Queens neighborhood. Coppola engaged Malkin to edit his fourth film as director, The Rain People (1969). He worked as an associate editor on two additional films edited by Robert Q. Lovett: End of the Road (directed by Aram Avakian-1970), and Cotton Comes to Harlem (directed by Ossie Davis-1970). Malkin was the editor for the 1973 film directed by Avakian, Cops and Robbers . Dorothea Carothers "Dede" Allen was an American film editor, well-known "film editing doctor" to the major American movie studios, and one of cinema's all-time celebrated 'auteur' film editors. America America is a 1963 American dramatic film directed, produced and written by Elia Kazan, adapted from his own book, published in 1962. The dust jacket of the novel has no comma in the title, nor does the title in the film itself. Many listings of the film include a comma. The Godfather Part II is a 1974 American crime film produced and directed by Francis Ford Coppola from a screenplay co-written with Mario Puzo, starring Al Pacino and Robert De Niro. 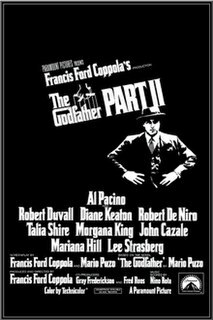 Partially based on Puzo's 1969 novel The Godfather, the film is both sequel and prequel to The Godfather, presenting parallel dramas: one picks up the 1958 story of Michael Corleone (Pacino), the new Don of the Corleone crime family, protecting the family business in the aftermath of an attempt on his life; the prequel covers the journey of his father, Vito Corleone played by De Niro, from his Sicilian childhood to the founding of his family enterprise in New York City. William Henry Reynolds was an American film editor whose career spanned six decades. His credits include such notable films as The Sound of Music, The Godfather, The Sting, and The Turning Point. He also was associated with two of the most infamous projects in film history, Ishtar and Heaven's Gate, which he executive produced. 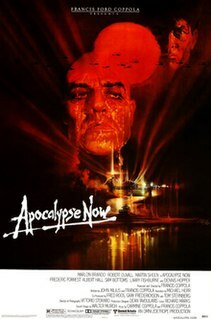 Apocalypse Now is a 1979 American epic war film about the Vietnam War, directed, produced and co-written by Francis Ford Coppola. It stars Marlon Brando, Robert Duvall, Martin Sheen, Frederic Forrest, Albert Hall, Sam Bottoms, Laurence Fishburne and Dennis Hopper. The screenplay, co-written by Coppola and John Milius and narration written by Michael Herr, is a loose adaptation of the 1899 novella Heart of Darkness by Joseph Conrad. The setting was changed from late 19th-century Congo to the Vietnam War (1969–70), the years in which Green Beret Colonel Robert Rheault, commander of the 5th Special Forces Group, was indicted for murder and President Richard Nixon authorized the secret Cambodian Campaign. Coppola said that Rheault was an inspiration for the character of Colonel Kurtz. Hammett is a 1982 mystery film directed by Wim Wenders and executive produced by Francis Ford Coppola. The screenplay was written by Ross Thomas and Dennis O'Flaherty, based on the novel of the same name by Joe Gores. It stars Frederic Forrest as detective story writer Dashiell Hammett, who gets caught up in a mystery very much like one of his own stories. Marilu Henner plays Hammett's neighbor, Kit Conger, and Peter Boyle plays Jimmy Ryan, an old friend from Hammett's days as a Pinkerton agent. 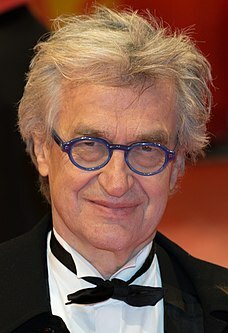 Ernst Wilhelm "Wim" Wenders is a German filmmaker, playwright, author, and photographer. He is a major figure in New German Cinema. Among many honors, he has received three nominations for the Academy Award for Best Documentary Feature: for Buena Vista Social Club (1999), about Cuban music culture; Pina (2011), about the contemporary dance choreographer Pina Bausch; and The Salt of the Earth (2014), about Brazilian photographer Sebastião Salgado. In the 1990s, in addition to his work with Coppola on Jack (1996) and The Rainmaker (1997), Malkin edited four films with director Andrew Bergman. Their first film together, The Freshman (1992), is to some extent a comic "sendup" of the original 1972 Godfather film, including a part played by Marlon Brando. Malkin's last credit was for The Big Bounce (2004), which was directed by George Armitage. 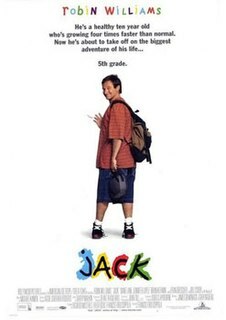 Jack is a 1996 American comedy-drama film starring Robin Williams and directed by Francis Ford Coppola. The film co-stars Diane Lane, Jennifer Lopez, Fran Drescher, Bill Cosby, and Brian Kerwin. Williams plays the role of Jack Powell, a boy who ages four times faster than normal as a result of Werner syndrome, a form of progeria. Andrew Bergman is an American screenwriter, film director, and novelist. New York magazine in 1985 dubbed him "The Unknown King of Comedy". His best known films include Blazing Saddles, The In-Laws, and The Freshman. 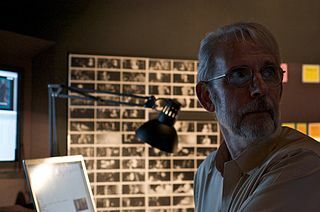 Walter Scott Murch is an American film editor, director and sound designer. With a career stretching back to 1969, including work on Apocalypse Now, The Godfather I, II, and III, American Graffiti, The Conversation, and The English Patient, with three Academy Award wins, he has been referred to by Roger Ebert as "the most respected film editor and sound designer in the modern cinema." Carmine Valentino Coppola was an American composer, flautist, editor, musical director, and songwriter who contributed original music to The Godfather, The Godfather Part II, Apocalypse Now, The Outsiders, and The Godfather Part III, all directed by his son Francis Ford Coppola. Alisa Lepselter is an American film editor who has edited director Woody Allen's films since 1999. Gerald B. "Jerry" Greenberg was an American film editor with more than 40 feature film credits. Greenberg received both the Academy Award for Best Film Editing and the BAFTA Award for Best Editing for the film The French Connection (1971). In the 1980s, he edited five films with director Brian De Palma. Richard Marks was an American film editor with more than 30 editing credits for feature and television films dating from 1972. In an extended, notable collaboration (1983–2010), he edited all of director James L. Brooks' feature films. Peter Zinner was an Austrian-born American filmmaker who worked as a film editor, sound editor, and producer. Following nearly fifteen years of uncredited work as an assistant sound editor, Zinner received credits on more than fifty films from 1959 - 2006. His most influential films are likely The Godfather and The Godfather Part II, both of which appear on a 2012 listing of the 75 best edited films of all time compiled by the Motion Picture Editors Guild. Aram A. Avakian was an Armenian-American film editor and director. His work in the latter role includes Jazz on a Summer's Day (1960) and the indie film End of the Road (1970). The Dirty Dozen is the nickname for a group of filmmaking students at the USC School of Cinematic Arts within the University of Southern California during the mid-late 1960s. The main group consisted of budding directors, screenwriters, producers, editors, and cinematographers. Through innovative techniques and effects, they ended up achieving great success in the Hollywood film industry. Mark Berger is an American sound engineer. He has won four Academy Awards for Best Sound. He holds the Academy Award record for "perfect score" with 4 nominations and 4 wins. He is best known for his work on The Godfather Part II (1974), One Flew Over the Cuckoo's Nest (1975) and Apocalypse Now (1979). He has worked on more than 170 films since 1973. Lisa Fruchtman is an American film and television editor, and documentary director with about 25 film credits. Fruchtman won the Academy Award for Best Film Editing for The Right Stuff (1983). With her brother, Rob Fruchtman, she produced, directed, and edited the 2012 documentary Sweet Dreams. ↑ Moreau, Jordan (April 5, 2019). 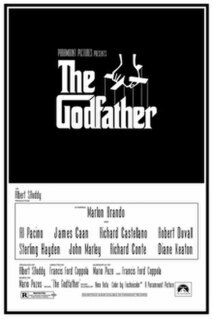 "Barry Malkin, 'The Godfather: Part II' Editor, Dies at 80". Variety. ↑ Barnes, Mike (April 5, 2019). "Barry Malkin, Francis Ford Coppola's Film Editor and Two-Time Oscar Nominee, Dies at 80". The Hollywood Reporter. ↑ Malkin worked on thirteen films directed by Coppola in this period; see the filmography in this article. He did not work on The Godfather (1972), The Conversation (1974), One from the Heart (1982), The Outsiders (1983), Captain EO (1986), Tucker: The Man and his Dream (1988), and Bram Stoker's Dracula (1992); for Coppola's filmography see "Francis Ford Coppola > Filmography >> AllMovie". allmovie.com. Retrieved 2009-12-23. 1 2 3 4 Oldham, Gabriella (1995). First Cut: Conversations with Film Editors. University of California Press. pp. 323–324. ISBN 978-0-520-07588-7. ↑ Ebert, Roger (October 2, 2008). "The Godfather, Part II (1974)". Chicago Sun Times. ... why is it a "great movie"? Because it must be seen as a piece with the unqualified greatness of "The Godfather." The two can hardly be considered apart ("Part III" is another matter). When the characters in a film take on a virtual reality for us, when a character in another film made 30 years later can say "The Godfather" contains all the lessons in life you need to know, when an audience understands why that statement could be made, a film has become a cultural bedrock. ↑ Oldham, Gabriella (1995). First Cut: Conversations with Film Editors. University of California Press. p. 326. ISBN 978-0-520-07588-7. ↑ Phillips, Gene D. (2004). Godfather: The Intimate Francis Ford Coppola. University Press of Kentucky. p. 56. ISBN 978-0-8131-2304-2. Barry Malkin was selected by Coppola as editor for the movie. He was a boyhood acquaintance of the director's from Queens. ↑ Phillips, Gene D. (2004). Godfather: The Intimate Francis Ford Coppola. University Press of Kentucky. pp. 129–130. ISBN 978-0-8131-2304-2. Coppola asked Barry Malkin to reassemble the footage of the two films into chronological order. ↑ Penn, Arthur; Chaiken, Michael; Cronin, Paul (2008). Arthur Penn: Interviews. University Press of Mississippi. p. 156. ISBN 978-1-60473-105-7. I really miss not having Dede Allen, who has edited all my films since Bonnie and Clyde, but she was working on (Warren Beatty's) Reds at the time. Barry Malkin, who I got to replace her, has had the same training and comes from the same background. He was perfect for the job. ↑ Prince, Stephen (2002). A New Pot of Gold: Hollywood Under the Electronic Rainbow 1980-1989 (Volume 10 of History of the American cinema). University of California Press. p. 197. ISBN 978-0-520-23266-2. Barry Malkin cut Coppola's Rumble Fish , Cotton Club , Peggy Sue Got Married , and Gardens of Stone as well as the Coppola-produced Hammett . He also cut Arthur Penn's Four Friends (1981), and the difference an editor makes on a director's films is evident by comparing his more linear approach to Dede Allen's fractured and off-center cutting. ↑ Malta, J. Geoff (2006). "The Godfather Trilogy: 1901-1980". Archived from the original on 2008-03-28. This webpage reproduces material originally distributed with the "home video" release. ↑ "Short Takes". Time Magazine. March 1, 1993. ↑ "American Cinema Editors > Members". American Cinema Editors. Archived from the original on 2008-03-04.